Although our name implies that we are a largely academic society, DUGS is also devoted to making sure that its members have fun outside of lecture hours. DUGS hosts a wide variety of events for its members throughout the academic year, some academic based, many less so. 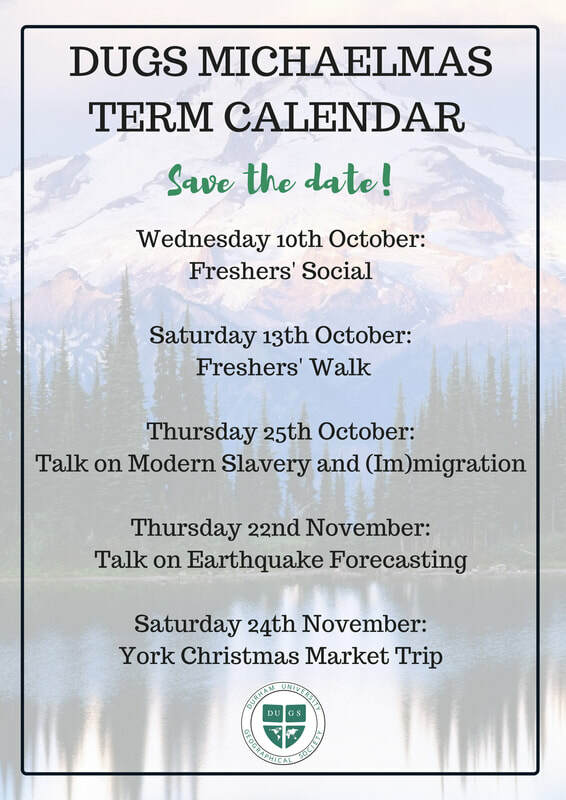 The events are a great way to get to know other members of the society outside of the work environment of lectures! DUGS events can be broadly classified into three categories. Academic - Guest lectures, debates and conferences. Social - Freshers Party, Christmas Party, Graduation Buffet, Bar Crawls, BBQ Beach Trips, Film nights, Black tie dinners and our eagerly anticipated annual ball! You can keep up to date with our dates for socials on both the website - Socials - or on any of our other social media pages. We will always update them a few weeks before and then post a reminder to the event a few days before, so make sure to add it to your calendars! As for our guest speaker series, we are releasing a term card of speakers for Michalemas and Epiphany as well as posting updates about each specific talk a week or so before. The term card can be accessed at - Guest Speakers.